Sania Mirza and Rohan Bopanna lost bronze medal to Radek Stepanek and Lucie Hradecka of Czech Republic in just over an hour by 1-6, 5-7. The loss means India’s medal-less run at Rio continued with bronze medal also out of hopes. This match meant a lot to India as it has not won a medal in the Rio Olympic Games so far. 21:53 IST: And they have won it! Radek Stepanek and Lucie Hradecka have clinched the bronze medal. Their rivals will be very disappointed. After losing the first set, they had gone 3-1 up in the second one, only to squander the lead and let their opponents run away with the match. 21:51 IST: The scoreline is in favour of the Czech pair as they have levelled it 5-5. What a comeback after Sania-Bopanna had attained a 3-1 lead in the beginning of second set. 21:46 IST: Bopanna and his partner manage to hold serve and go 5-4 in the second set. 21:43 IST: Stepanek and Hradecka have levelled it 4-4 in the second set. 21:41 IST: The match has become very exciting as both the teams are not ready to give in. However, the Indian pair have gone 4-3 in the second set. 21:37 IST: Stepanek and Hradecka have made a stunning comeback as they level the second set 3-3. 21:34 IST: Sania and Bopanna have been broken again as the Czech pair make it 2-3. 21:26 IST: Sania and Bopanna have maintained the lead and go 3-1 up in the second set. 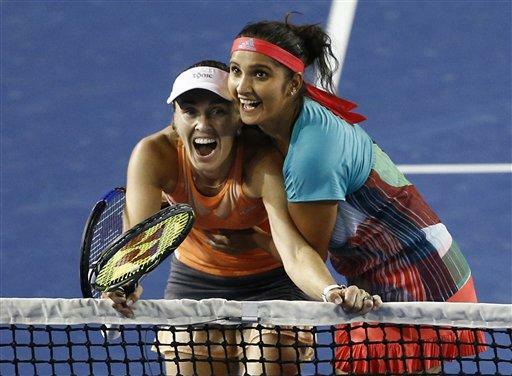 21:20 IST: The scoreline is 2-1 in favour of Sania Mirza and her partner. Some terrific shots and the Indian pair is back in the game. 21:15 IST: The Indian pair has come from behind in the second game, and confidently taken the second game to level scores 1-1. 21:13 IST: Sania and Bopanna have been broken again in the second set. The scoreline reads 1-0 in favour of their opponents. 21:09 IST: Hradecka and Stepanek have taken the first set 6-1, and it is going to be an uphill task for Sania and Bopanna. 21:00 IST: Stepanek and Hradecka have taken the fifth game as well. 20:55 IST: The Indian pair is finding difficult to cope up with the Czech attack. The scoreline reads 4-0. 20:48 IST: It’s a deuce! 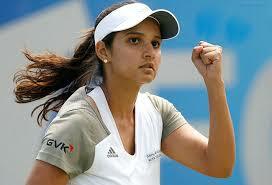 However, Sania and her partner fail to let the opponents take the third game as well. 20:45 IST: Sania Mirza and Rohan Bopanna are currently 0-2 in the first set. Stepanek and Hradecka are leaving no stone unturned to continue their lead. 20:40 IST: The Czech pair go 1-0 up in the first set. A tough task ahead for Sania and Bopanna. 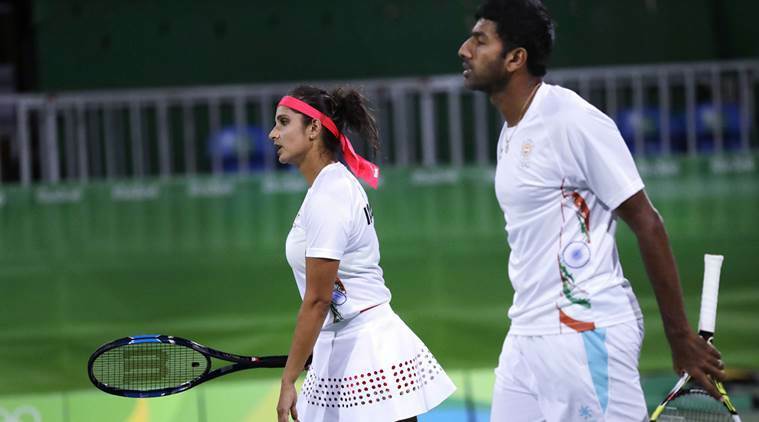 Be the first to comment on "Rio Olympics India: Sania Mirza, Rohan Bopanna miss out Bronze"